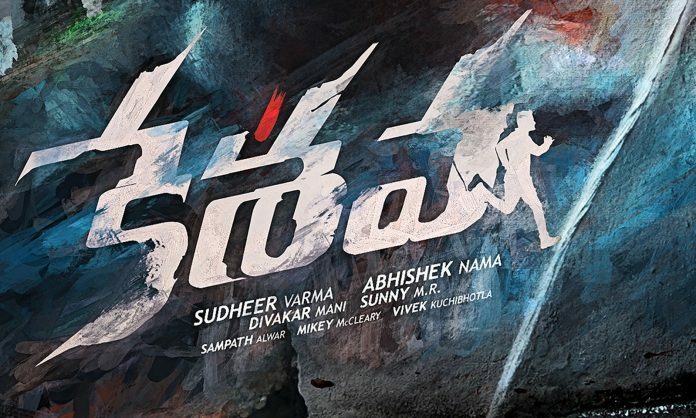 After basking in the success of films like Surya Vs Surya and Ekkadiki Pothavu Chinnavada, Nikhil is all set to get a hat trick with another exciting project Keshava. The makers released the theatrical trailer, a couple of days ago and it is fantabulous. Today, the film has undergone the Censor certification, and it successfully received U/A from the board. Directed by Sudheer Varma, the project is a revenge thriller drama. The film features Nikhil Siddharth in the lead role, and Ritu Varma, Isha Koppikar, Ajay are playing the key roles. After a long gap, Isha of Chandralekha fame is making her comeback in the Tollywood. Sunny MR has composed the tunes, and Diwakar Mani handled the camera. The recently released posters and the trailer have triggered the excitement of the audience. Like his previous films, Nikhil has chosen another interesting plot. In this movie, the actor has a heart on the right side instead of left side. If he is prone to extreme anger or tension, they will get a panic attack, and it leads to death. But the trailer clearly shows that Nikhil tries to take revenge on some people. He will be seen in a never before avatar, and the film is all set to hit the screens on May 19th. Yesterday, they have launched the audio of this film on a grand scale and celebrities like Adivi Sesh, Gunasekhar and Sharwanand have attended the function. They have poured praises on actors and Vennela Kishore’s funny speech took the limelight. The hilarious conversation between Kishore and Nikhil tickled the funny bones. Overall, the event turned out to be a funny and star studded affair.